This site lists links to databases and scholarly web sites that support access to and analysis of government information. The USC Libraries have been a depository for California State documents since 1947. The collection consists of publications of selected state agencies, and the executive and legislative branches. The types of publications collected emphasize public policy issues, especially budgetary and planning documents, statistical compilations and reports, analytical and investigative reports from the Legislative Analyst's Office, and Legislative hearings. Most of the collection is cataloged and appears in the library's on-line catalog. The core California collection is housed in Grand Avenue Library, an off campus site. Except for selected reference materials and journals, it is a circulating collection that can be paged. Items in the collection that do not appear in the online catalog may be accessed through special indexes in the Von KleinSmid Center Library. Most California government agencies, as well as the executive, judicial, and legislative branches of state government, provide digital access to their current publications and resources. The VKC Library is the regional depository in Southern California for all materials produced by the European Union. The collection is part of a network of depository libraries intended to give Americans access to all official publications of the EU. The Library automatically receives one copy of most EU books, statistical reports and journals. The official publications contain information ranging from policy developments in all sectors of EU activity to statistics on trade, demographics, agriculture, transport, energy and economic indicators. Of particular importance is the Official Journal of the European Union, the EU equivalent of the United States Federal Register. The depository collection also contains legislative proposals and communications of the Commission in their original, "COM," document form, reports and debates of the European Parliament, Opinions of the European Economic and Social Committee, and decisions of the European Court of Justice. The United States Government distributes materials in a variety of formats, including electronic, CD, microfiche, and paper. 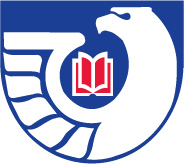 As part of its publishing program, the U.S. Government Publishing Office (GPO) through the Federal Depository Library Program (FDLP) distributes Government documents free of cost to designated libraries throughout the United States. These libraries are known as Federal depository libraries.